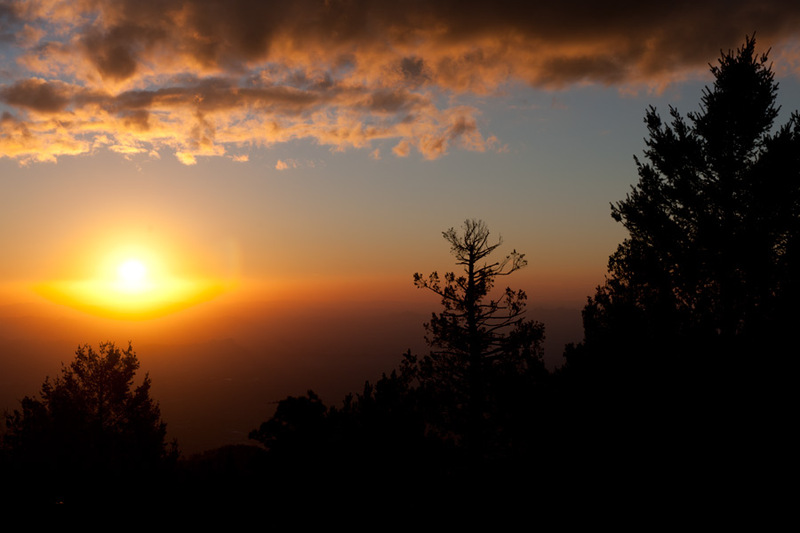 A trip summarizing my participation in Arizona SkyCenter's Astronomer Nights Program, located at the top of Mount Lemmon above Tucson. 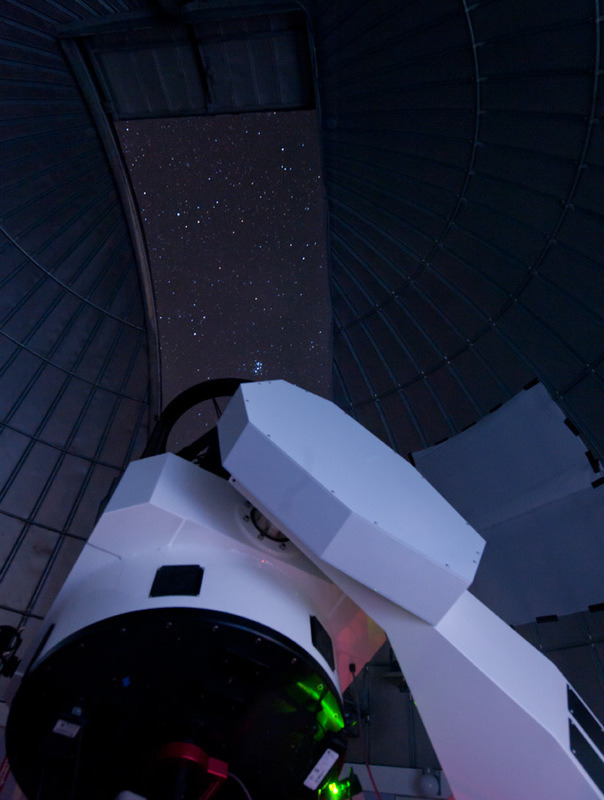 The program allows the visitor to partner with an expert imaging astronomer to select, capture and process selected targets using highly specialized equipment, located at the top of Mt. Lemmon. and identifying up to 1,000 stray objects in our solar system each evening. Further behind lies another observatory that is remotely operated by a research team in Korea. 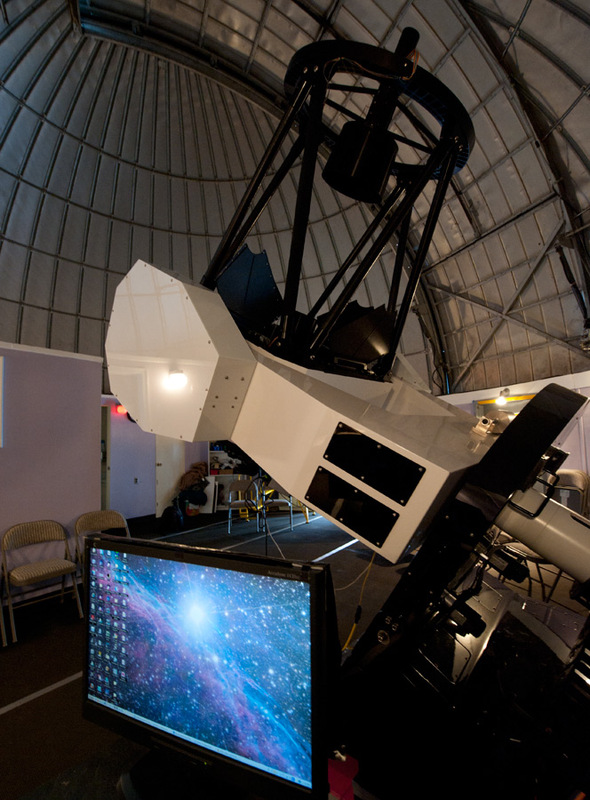 The 32 inch Ritchey-Chretien telescope that will be used for our imaging session. operation, moving as required to keep up with the telescope's aim. Sunset nears, and temperatures plummet into the high 20's F. Briefly we have snow flurries. 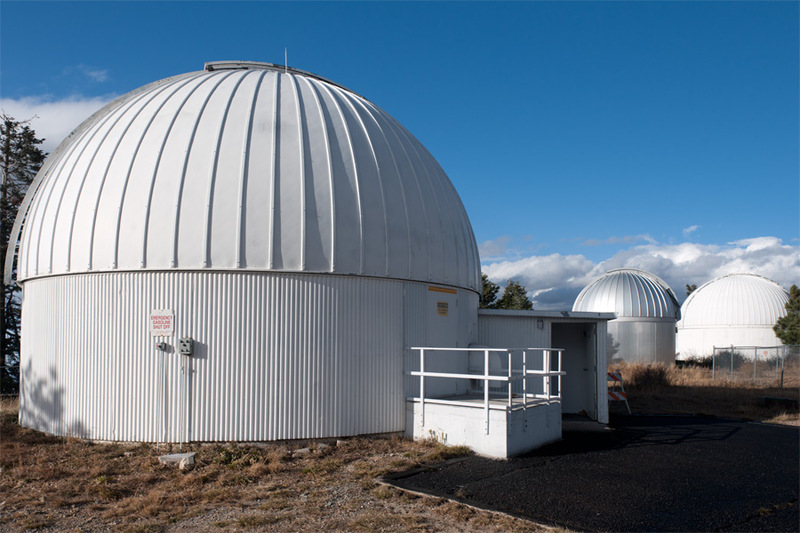 As the skies darken, the telescope is prepared for imaging. Usage of red flashlights create the ambient light. Various fans are activated to begin cooling the telescope's mirrors to match dropping ambient temperatures. Despite the telescope's size, the mount silently and smoothly aims the unit with incredible precision. 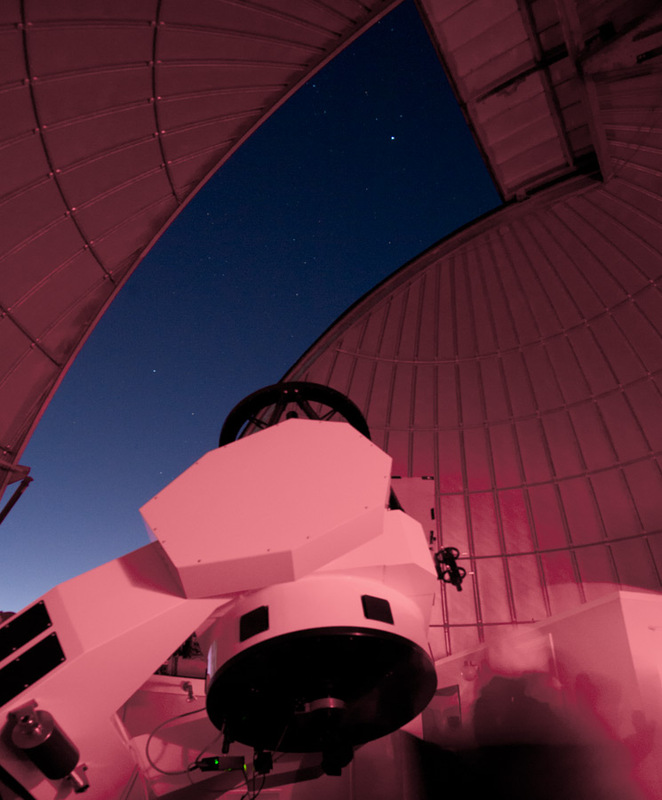 The telescope is being prepared to operate with a CCD camera that is cooled to about minus 25F. The observatory itself gets really cold as we are at the top of Mt. Lemmon in November. telescope without being subjected to very cold temperatures. 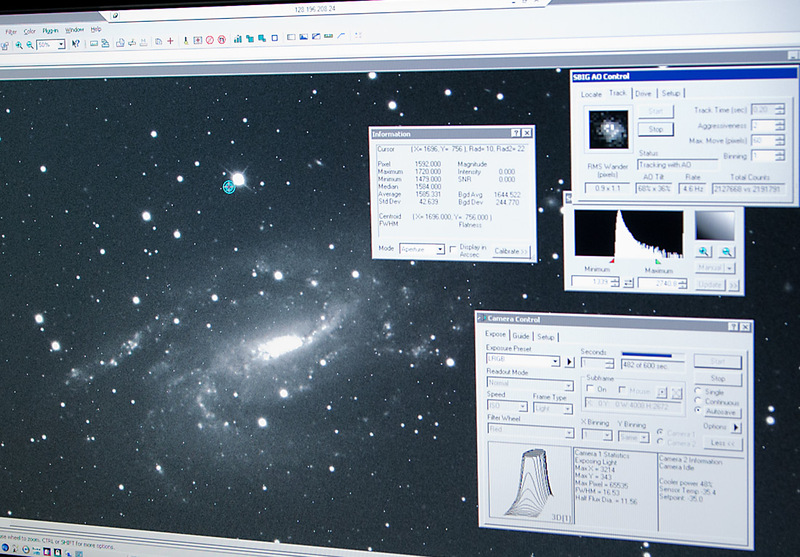 Imaging underway, one object frequently takes 4-6 hours. 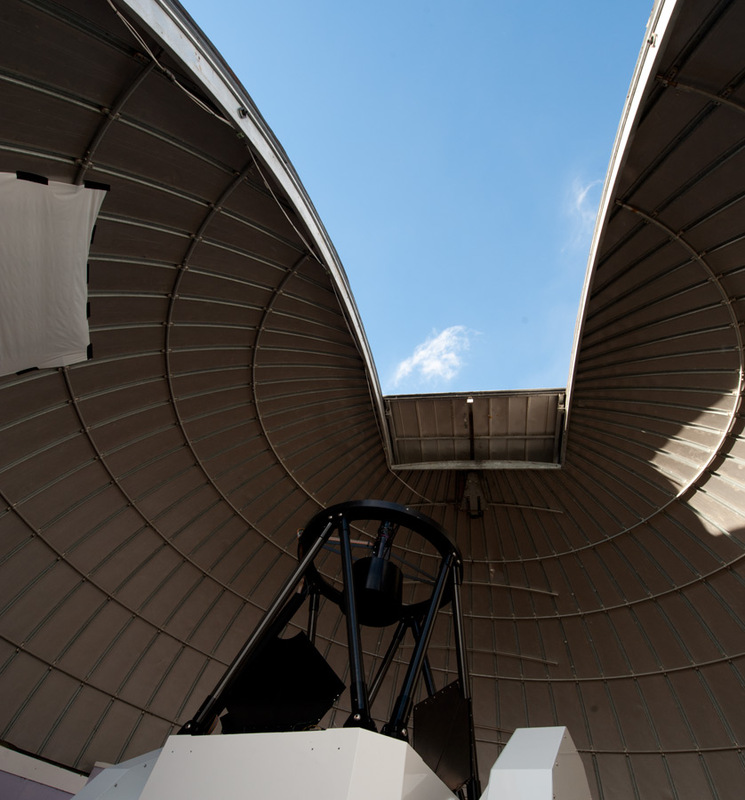 The telescope's mount precisely tracks the target as the Earth rotates. The images begin to pour in. 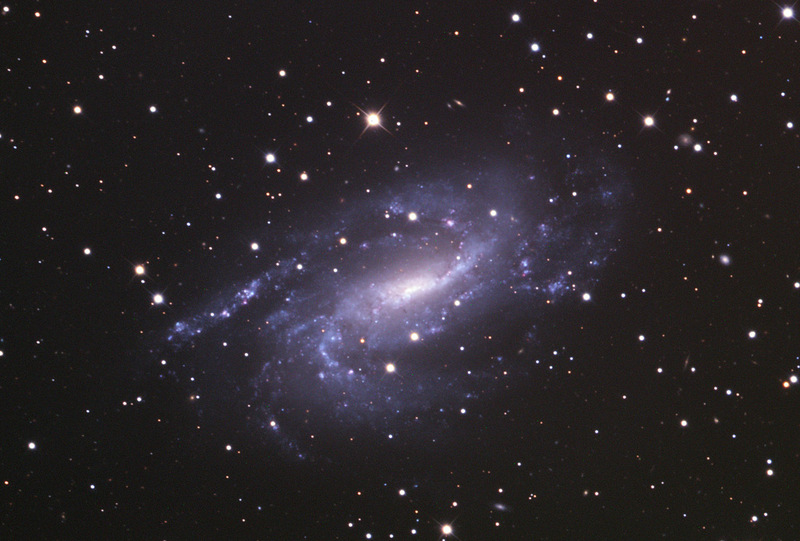 For this session a series of 10 minute exposures were taken with a dedicated CCD camera. 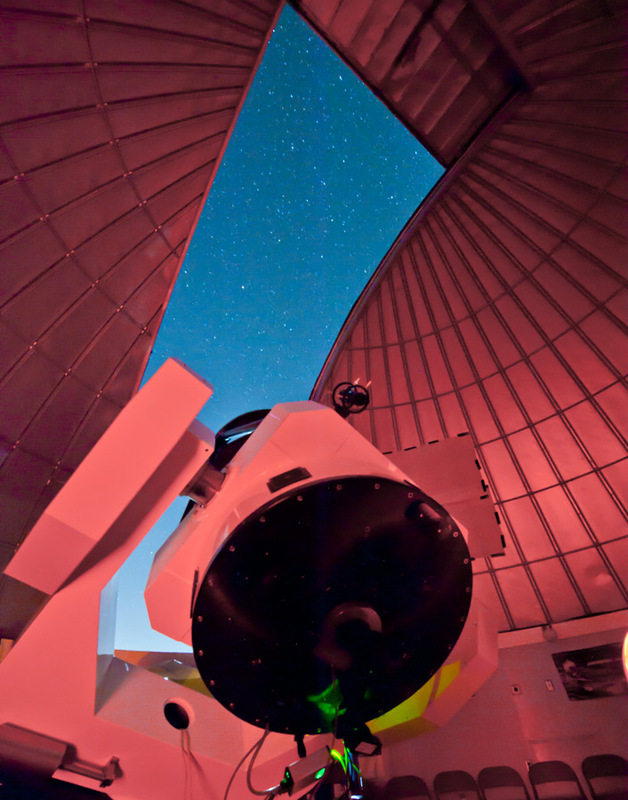 The telescope performance and image capture quality are actively monitored as conditions evolved during the evening. The top right dark box with a fuzzy grey object represents a target star that is used for extremely precise tracking. recorded two hours of luminance, along with 50 minutes each of red, green and blue filtered data. An automated filter wheel rotated in front of the CCD sensor during the session. 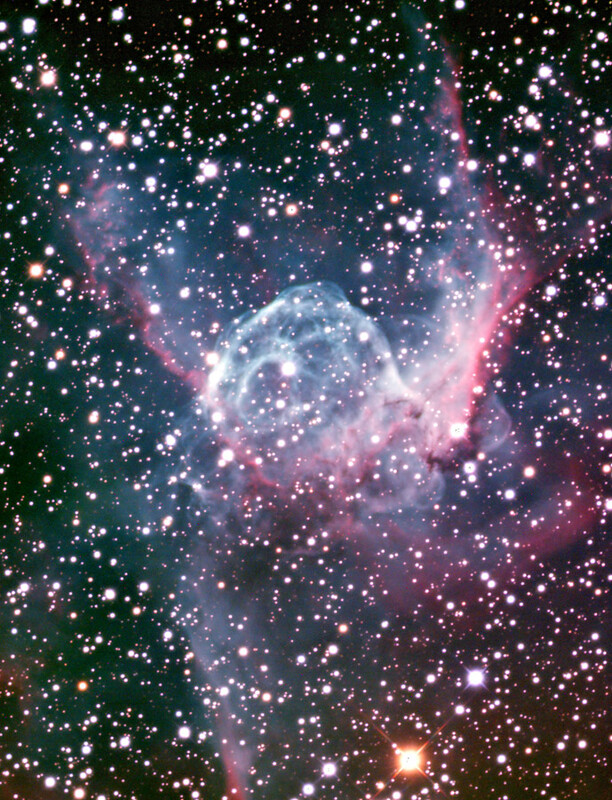 The second captured object, a nebula known as "Thor's Helmet" or NGC 2359, located 15,000 light years away. I processed the raw camera data to develop the image above. that gives the participant access to unmatched equipment and expertise.